Beside the bar magnets there are several other locking devices. 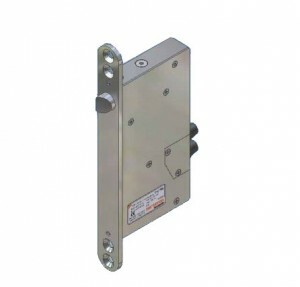 1) TVR1 door locking unit: this door locking unit has an extremely low power consumption. 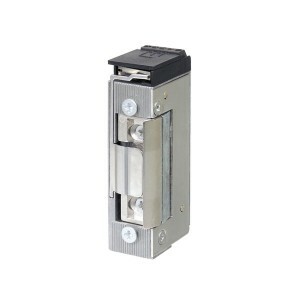 The singular combination of an electromagnetic lock and a sturdy locking bolt offers highest safety. 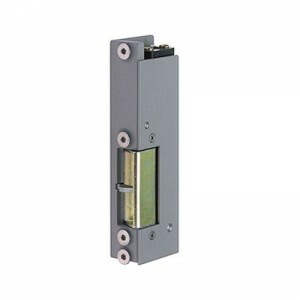 Due to the concealed installation the TVR1 door lock is to a large extend safe from damage and manipulation. 2) Electric strikes: When used in combination with the DICTATOR interlock control system, you should take care that they are generally unlocked when without power. You should always chose the version with quiescent current, i.e. in case of power failure the door can be opened. 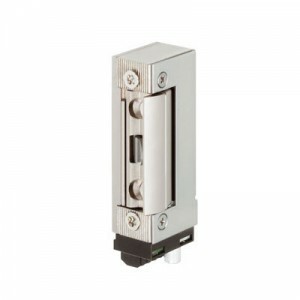 The TVR1 door lock features double safety against breaking open and manipulation. Sometimes electric strikes are an alternative to bar magnets for locking doors. 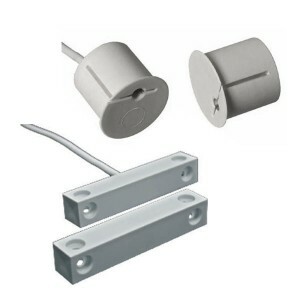 In combination with the emergency exit terminal of the DICTATOR interlock control system certain electric strikes are certified, beside several bar magnets for emergency exit doors. In case the emergency exit door is also a fire protection door, this door has to be equipped with an especially certified electric strike for escape routes. In case a door system is equipped with bar magnets or electric door openers without feedback contact, you can retrofit separate feedback contacts.